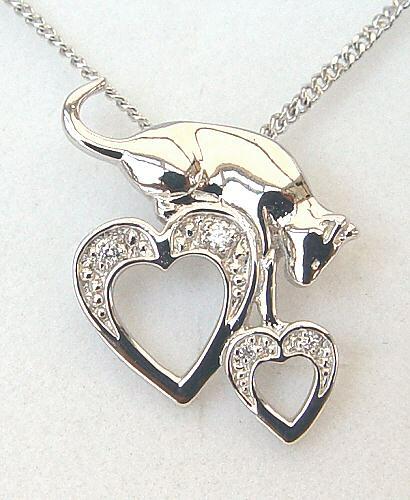 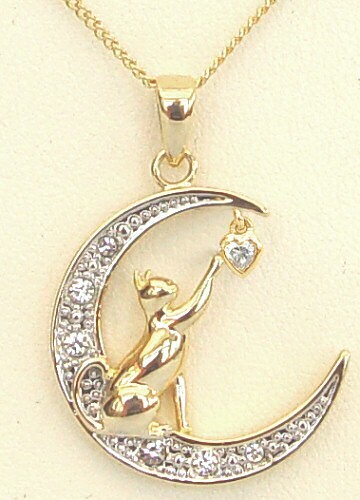 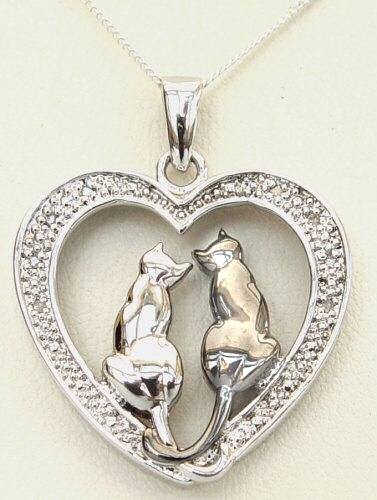 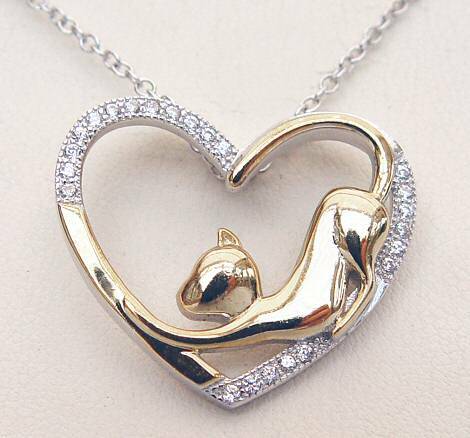 A Sterling Silver silhouette cat with 12 crystals inlaid into the tail and a little heart dropper. 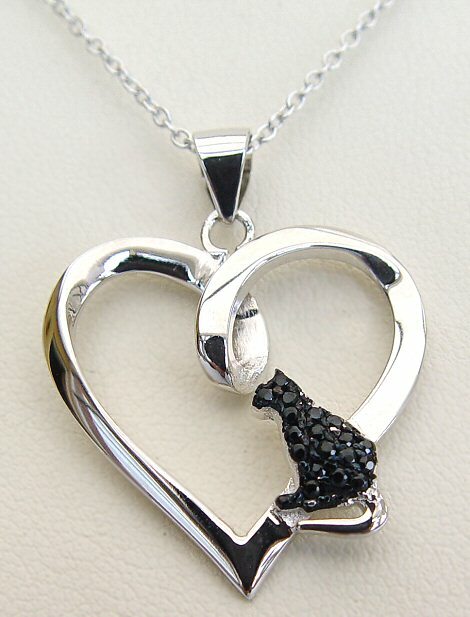 Including a Sterling Silver 18 inch Curb chain which fastens with a lobster clasp, marked 925. 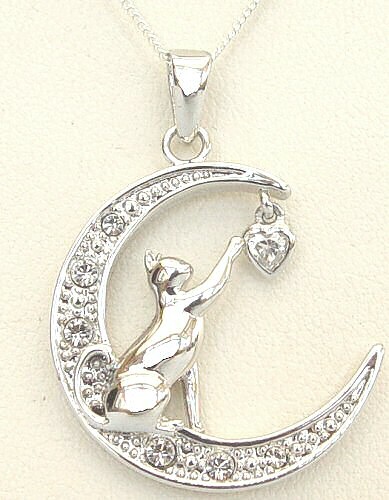 The Cat is approximately 3cm tall (including the Heart) and 1.5cm wide, the whole drop (including the bail) is around 3.5cm. 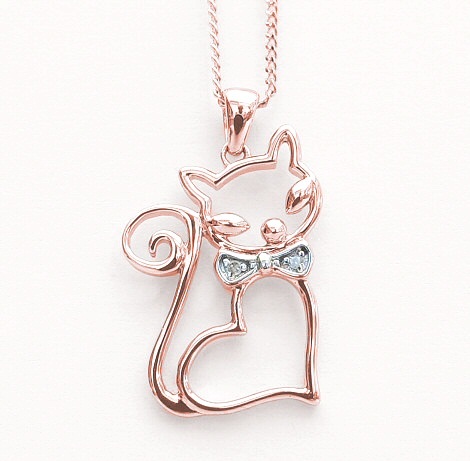 Short Description:- Sitting Pretty Kitty: a sterling silver silhouette cat necklace with a silver heart dropper and crystals in it's tail, on an 18 inch sterling silver curb chain.